Committing to a 365 project is much like sticking to a New Year’s resolution – we all start out with the best intentions, but for some of us, the enthusiasm is short-lived and our endeavours fall by the wayside. For artist Charles Young, this is not the case. 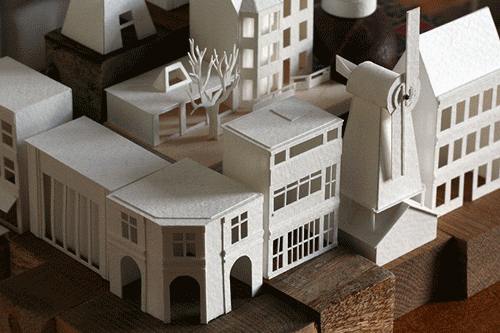 Young began his year long paper modelling project Paperholm last summer, consistently delivering one small, but intricate paper structure every single day. He now has a vast miniature city featuring houses, tower blocks and cars, as well as working windmills, a water mill and even a bascule bridge. He has showcased his many creations with a series of stop motion animations together with a short video.